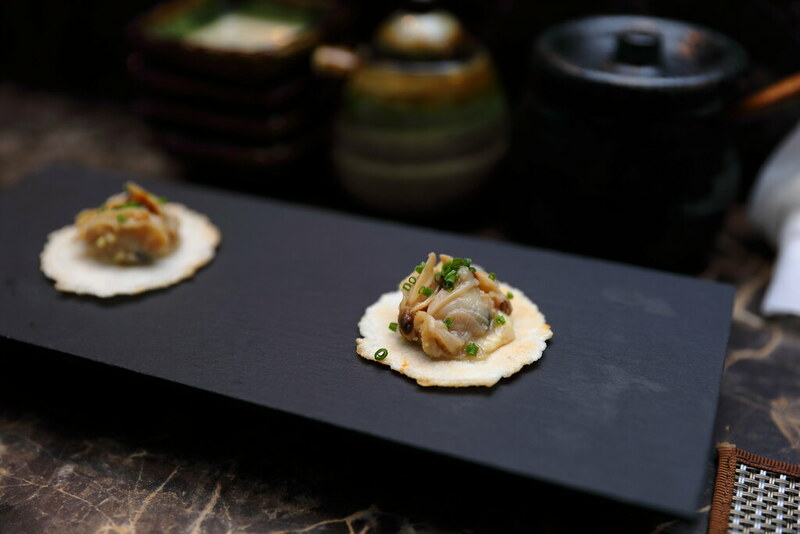 A new kid has moved into Katong offering Japanese fusion omakase. 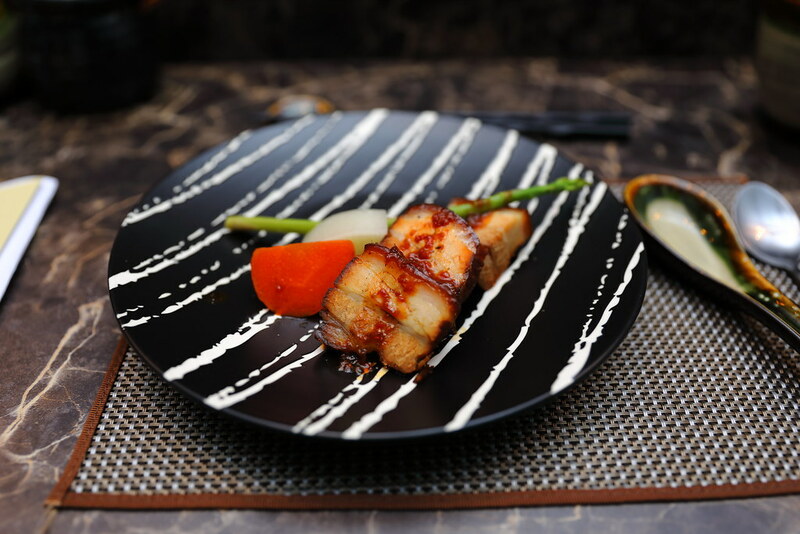 Unlike the traditional Japanese omakase restaurant, Rakuya brings you across Asia with its Asian influenced creations. It also brings an unique dining concept to the neighbourhood. 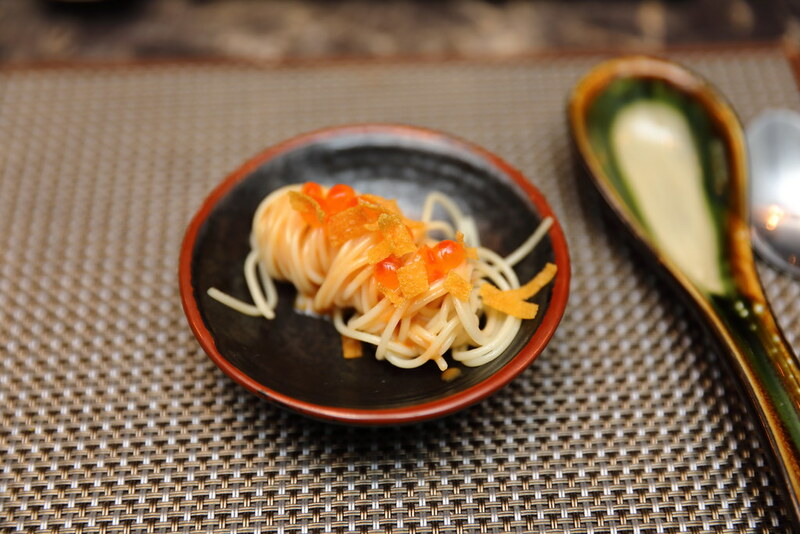 8-course omakase menu comes in three pricing - $48, $88 and $128 per pax. 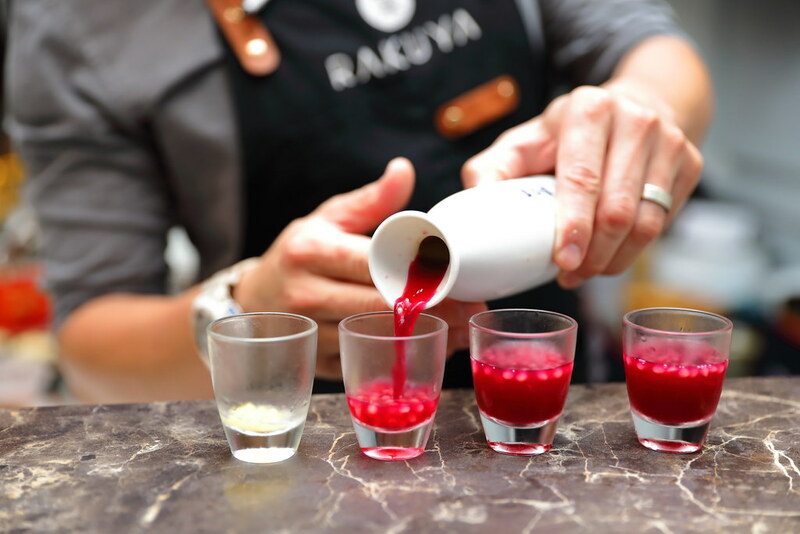 The omakase dinner at Rakuya started with the refreshing Amuse Bouche, a drink mixture of berries juice with orange peel, whetting up the appetite. The Appetiser is Chef's interpretation of wanton mee. The pasta is tossed in a light soy and goma sauce, topped with wanton skin and roes. I was a little surprise by the use of the cracker base to pair with the Butter Miso Asari. The clever use of the butter miso accentuates the sweetness of the juicy clams. The combination actually works for me. 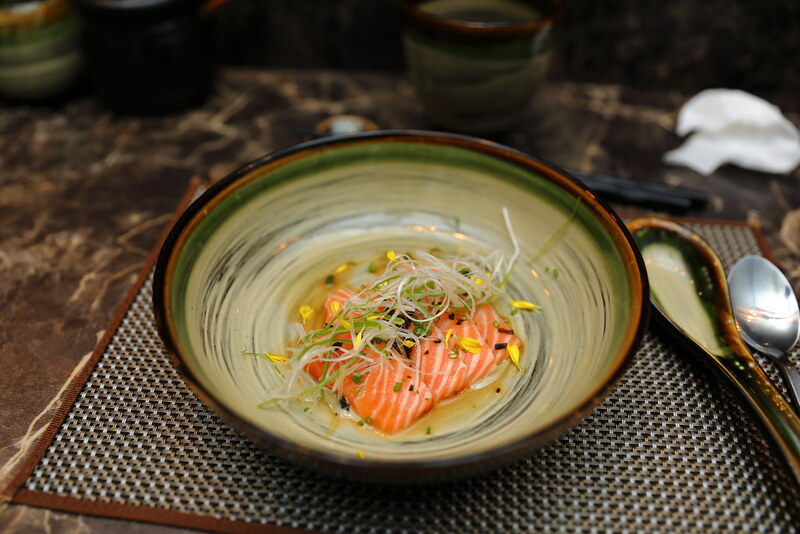 One of my favourite dishes is the Salmon with Ponzu Sauce and White Truffle Oil. 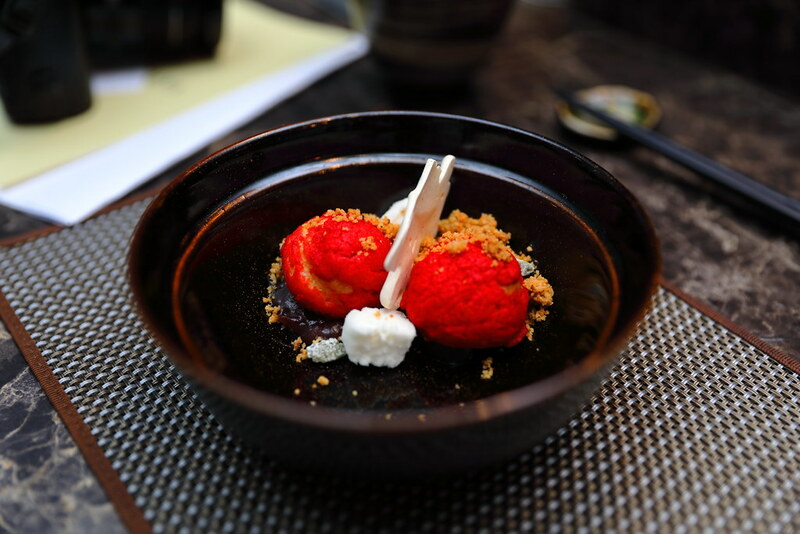 Every components on the plate tastes beautifully on the palate, working harmoniously together. I was initially sceptical about the Mapo Tofu Chawanmushi. I thought it was fusion going a bit overboard. i was wrong after having it. 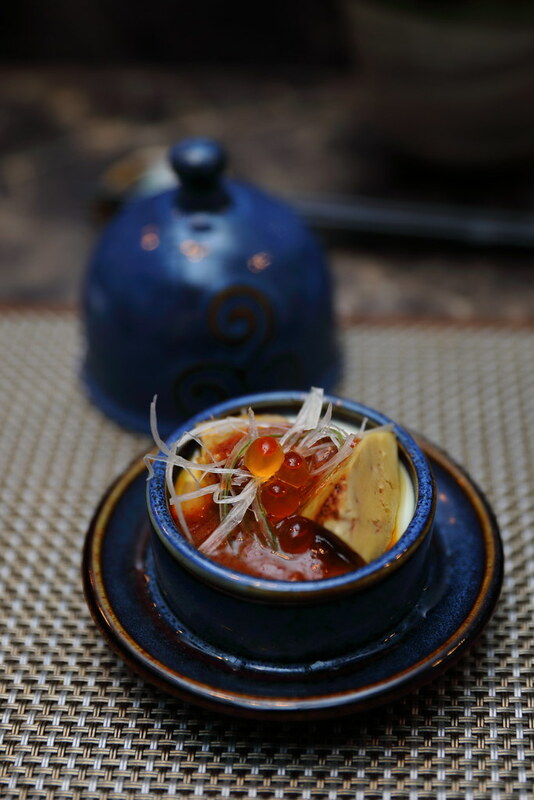 It gives the traditional chawanmushi a whole new dimension and appreciation. The steamed egg is replaced with tofu while the foie gras substitutes the minced meat. Not forget the homemade mapo sauce that brings everything together. The finishing has a bit of spiciness with a little mala numbness at the end. The Tuna Curry Puff is a dish not seen elsewhere. The curry tuna is wrapped in a seaweed tempura shell. 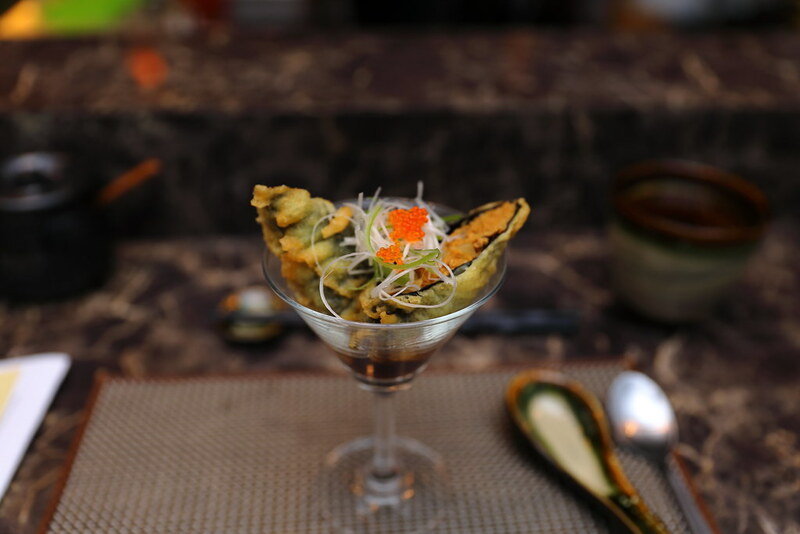 Have the tuna curry puff with the tempura dipping sauce at the bottom of the glass, for a burst of flavours and textures. The meat dish is inspired from the Dong Po Rou. The rich and intense sauce complements the pork belly excellent. However I thought the texture of the pork is far from the fork tender classic Dong Po Rou that it drawn its inspiration from. The pickled carrot is a welcome side to cut the richness though. 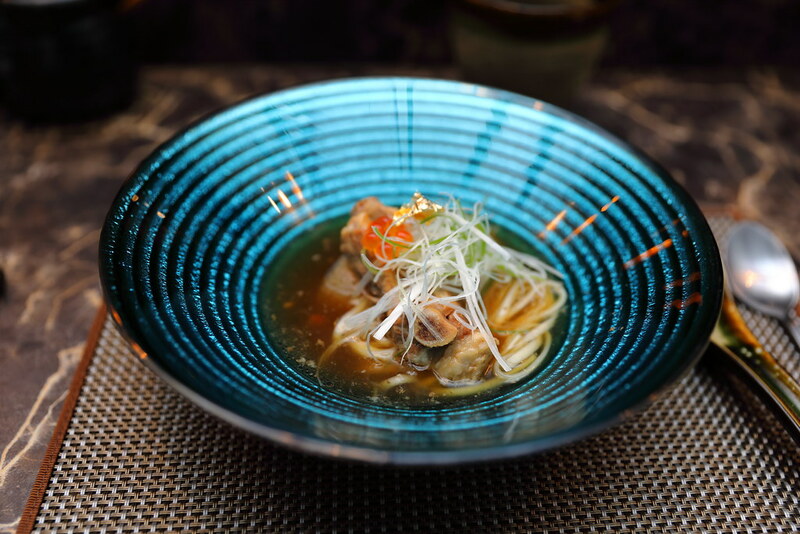 For the noodle dish, we have the local inspired Bak Kut Teh Udon. Using Inaniwa udon, the broth is a cross between the herbal and peppery bak kut teh. It even comes with a piece of Kurobuta baby back ribs that has been cooked to tender, falling off the bone with ease. This is probably the most expensive bak kut teh I have eaten, topped with edible gold leaf. For dessert, I have the Cream Puff with Orange Jam and Kaya Toast. As I shared with the Chef, the Cream Puff with Orange Jam has too many components at work. On the plate, there are curry meringue, coconut meringue and red beans besides the cream puff and orange jam. The dessert is too complex, losing the focus of the cream puff. 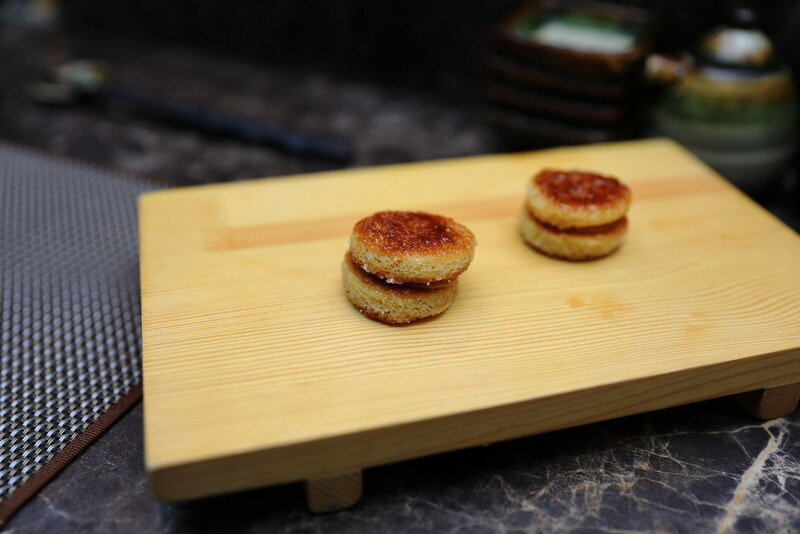 For the Kaya Toast, yuzu kaya sauce is sandwiched between two crispy caramelized toasts. I find it really sweet but I enjoyed the crispy toasts. If you have a sweet tooth, you will like it. I think Rakuya's Asian influenced omakase concept brings something new to the neighbourhood. One must dine here with an open mind as its not your typical Japanese omakase menu but more Asian inspired. If you are craving for some sushi and sashimi, they are also available on their ala carte menu. Every Tue and Fri is their delivery day, this is the best time to go for fresh sashimi.